Since the 1960s Mercedes-Benz AMG has been designing high-performance incarnations of various models from the Mercedes Car Group. Its job is to take the existing luxury vehicles of Mercedes and improve the handling, stability and overall performance attributes of the models to showcase what Mercedes’ finest engineers can achieve. When AMG decide to further push the boundaries of styling and performance the outcome is the “Black Series“. This methodology has been applied to Mercedes latest collaboration project with timepiece specialists IWC Shaffhausen. 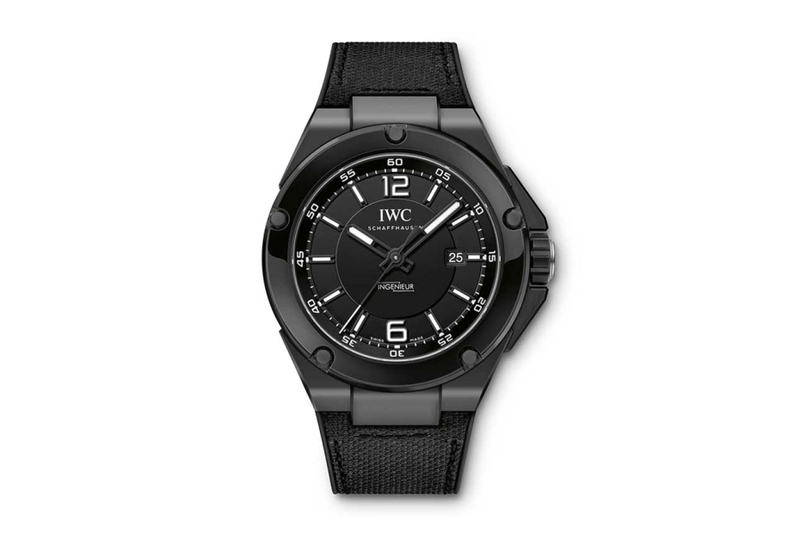 The result is the IWC Ingenieur Automatic “Black Series” Ceramic Watch. First released in 1955 the IWC Ingenieur has always represented the company’s focus on technical expertise through its rugged exterior and automatic movement. This collaboration with Mercedes AMG takes the latest design of the Ingenieur and gives it the “Black Series” treatment, resulting in a more modern, technical, sleek version of the classic watch. With a ceramic case sized at 46mm the watch is suited to fans of larger timepieces and for fans of the technical specifics the Black Series Ingenieur is equipped with the IWC in-house automatic mechanical calibre 80110. Look for this watch to make its debut at the 2013 SIHH trade show this coming January.